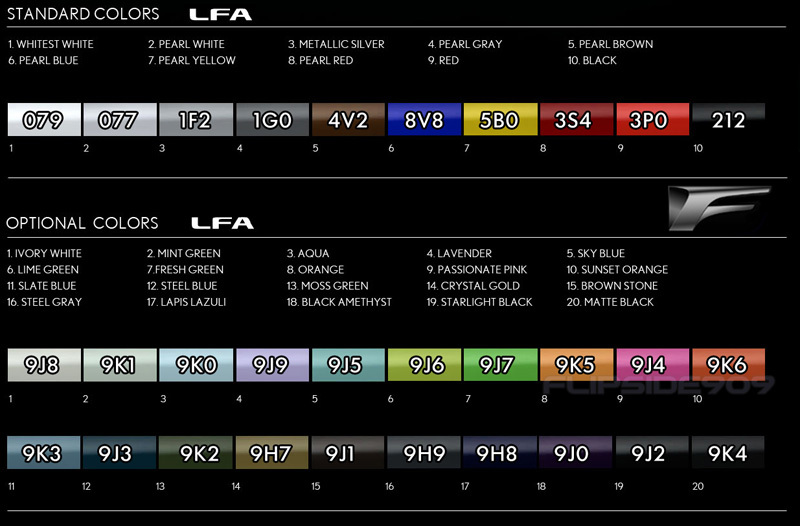 - Last 3 numbers in VIN do not equal LFA build number! - Source information is limited to region. USA will cover USA, Canada, and probably others. Europe RHD covers UK + Australia + SE Asia + probably others. - VIN#s only go to 497. 497 + prototypes? I am looking for access to Toyota Electronic Parts Catalog System with 2013 data. If you can help out I may be able to improve the information in this table.